I purchased the Searcy Creek Mainstays Outdoor Dining Set for my weekend getaway at the lake. It needed a Patio Table Umbrella Stand to complete the set. After looking at several options I chose the Mainstays Lawson Ridge Umbrella Base to use at my table. I will show you what I got and see if it will work for you. Lets begin. Only seven parts are in box. The base, a screw with no head, three plastic parts, post and locking screw. All of the parts are in styrofoam that will protect them from any damage or lost parts. The base is concrete with a hard brown plastic formed cover, it has a rubber bumper around the base to protect it. The post is made of steel with a brown painted surface. Assembly is easy, as no tools will be needed. 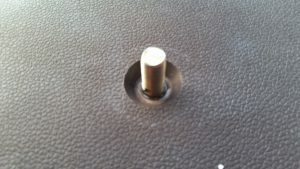 Remove the base from the box and insert the screw with no head into the top middle. Place the flat plastic sleeve onto the top and screw the post into the screw. Screw the locking screw into the post. 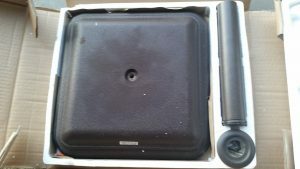 Find witch plastic sleeve will fit your umbrella post the best and place onto the top of the post. You are done, less than five minutes. 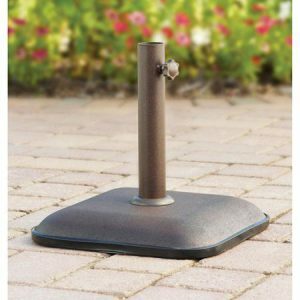 I find this Patio Table Umbrella Stand very adequate for the small patio set that I have (Searcy Creek Mainstays Outdoor Dining Set). 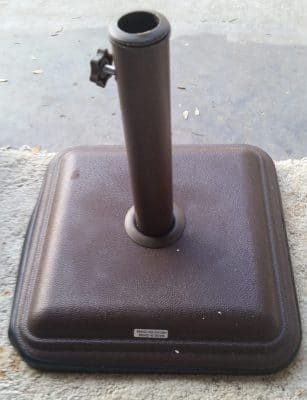 I have not tried on a 9 foot umbrella, I do have some umbrella stands for my bigger umbrellas that are lighter that this one and hold up well in the Midwest winds. You will have to test them in your own wind environment. 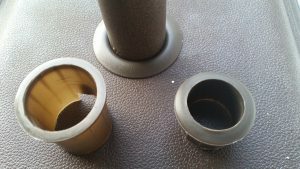 If you would like to look at other Umbrella stands follow this link. Thanks for reading my post and if you have any questions or comments please use the form below. I will answer in less than 24 hours during the week.